The Bridge . . . .
is back! (as Elton John used to say something along those lines). 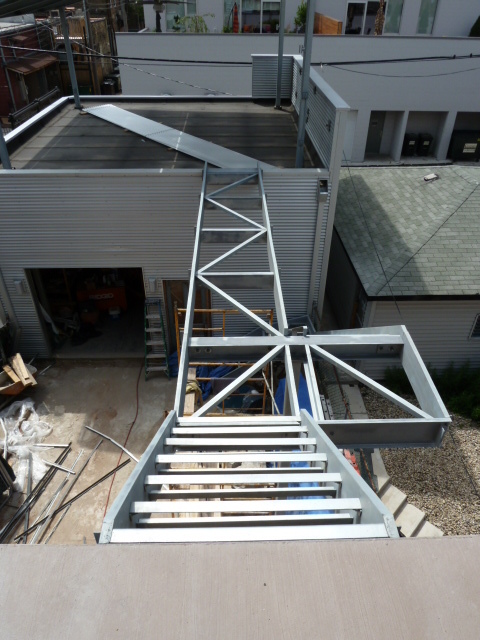 The bridge from the kitchen to the rooftop deck on the garage was sent off for galvanization and then re-installed. 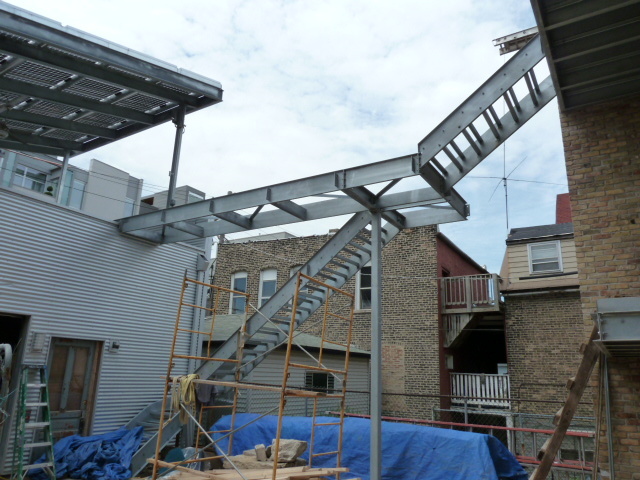 This entry was posted on Monday, June 21st, 2010 at 3:54 pm and is filed under Uncategorized. You can follow any responses to this entry through the RSS 2.0 feed. You can leave a response, or trackback from your own site.